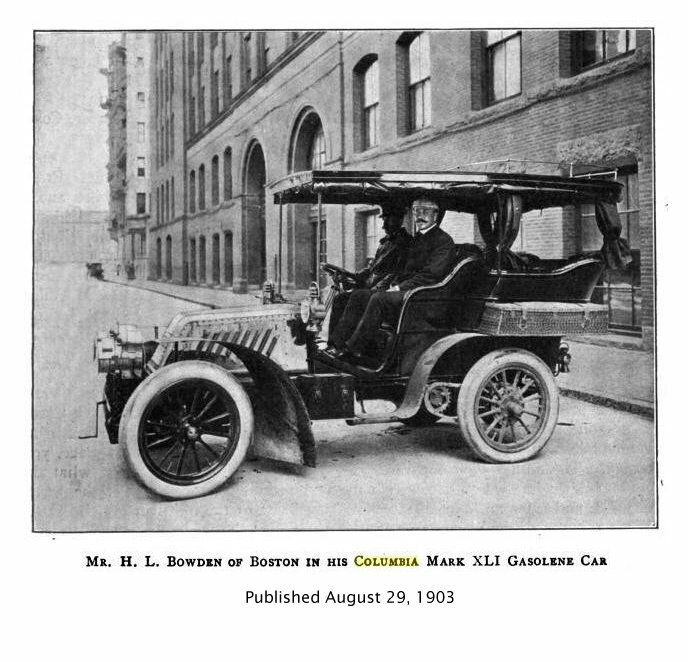 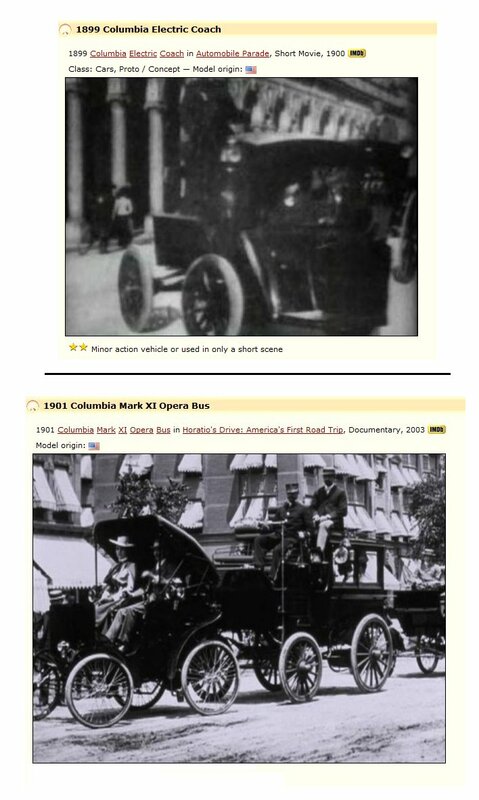 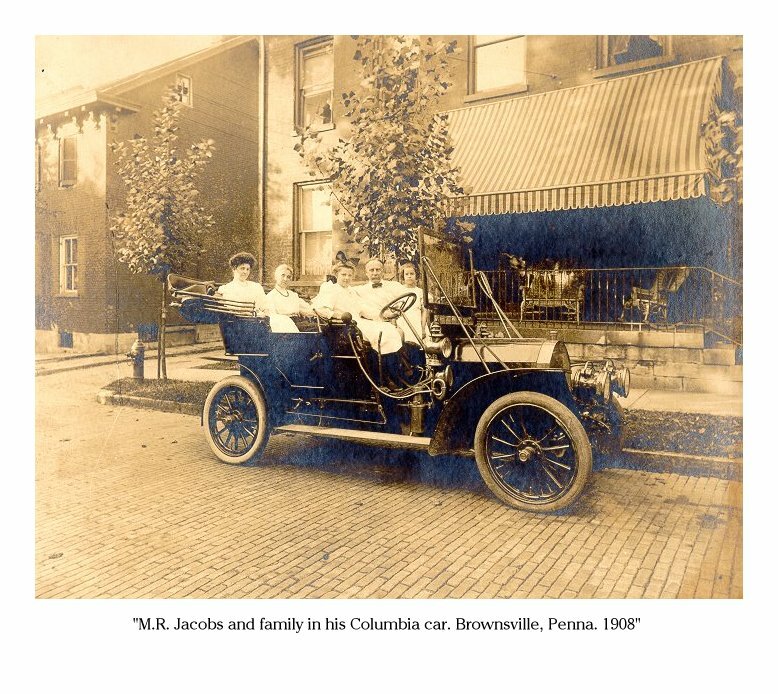 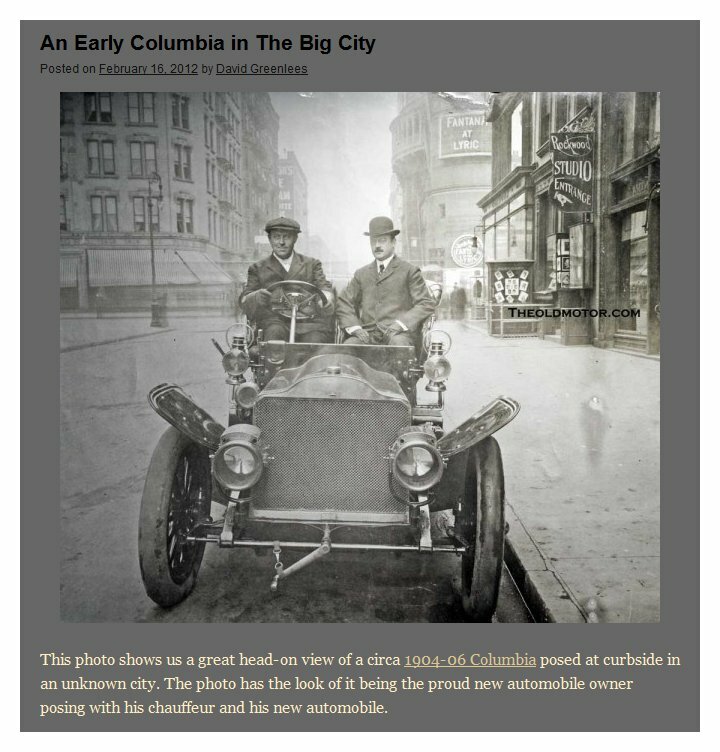 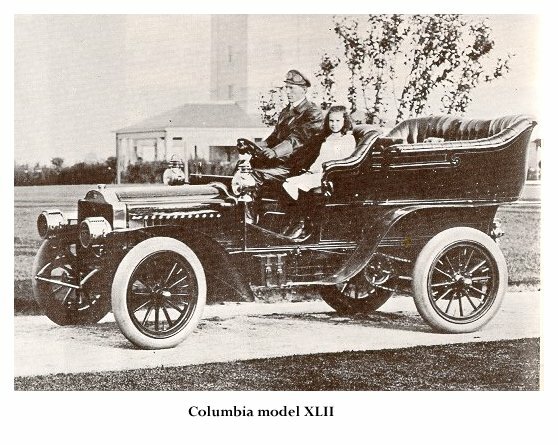 Columbia cars - drawings and photos with people . 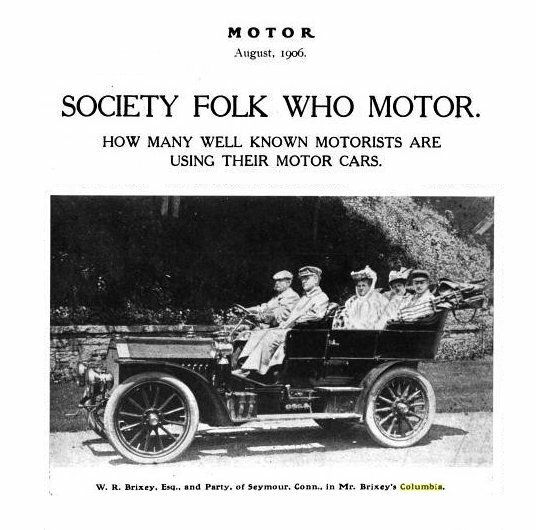 . . . .
years which include people in (or very near) the automobiles. 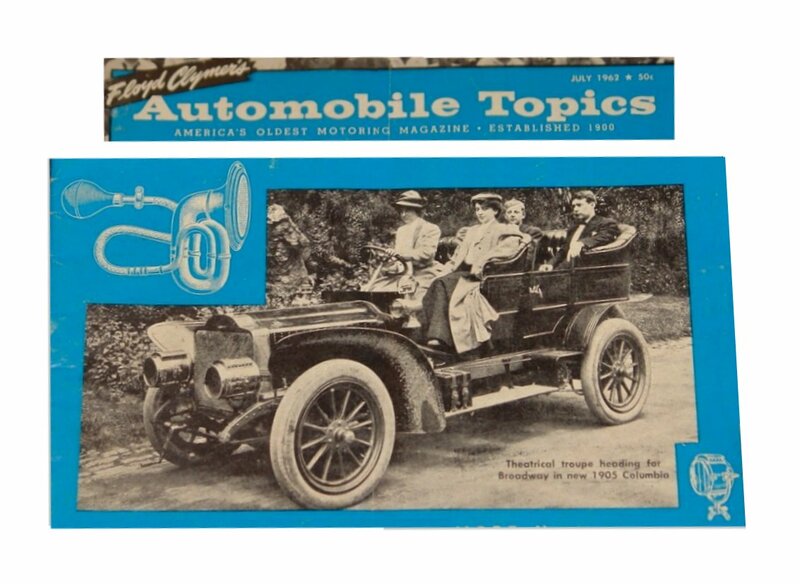 In 1953 and 1954, the Topps Chewing Gum Company sold a line of cards called "Wheels"
baseball cards, they have found a dedicated group of collectors. 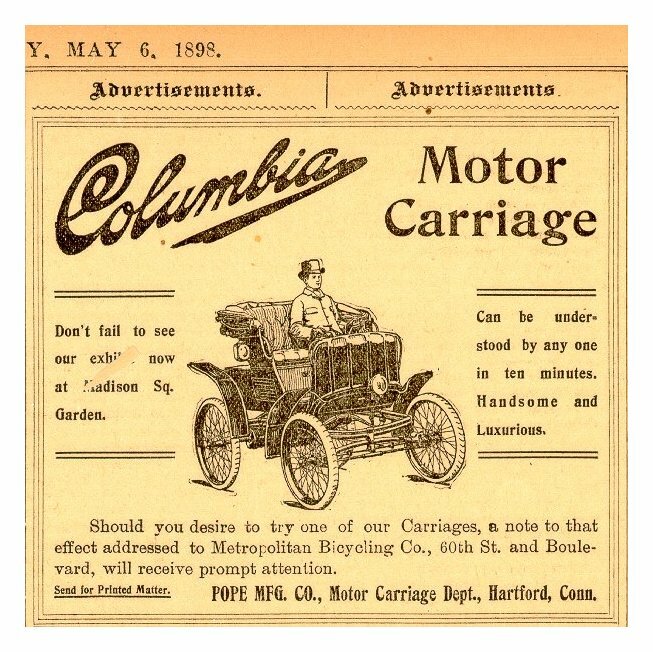 artwork and a design similar to the 1953 Topps baseball set. 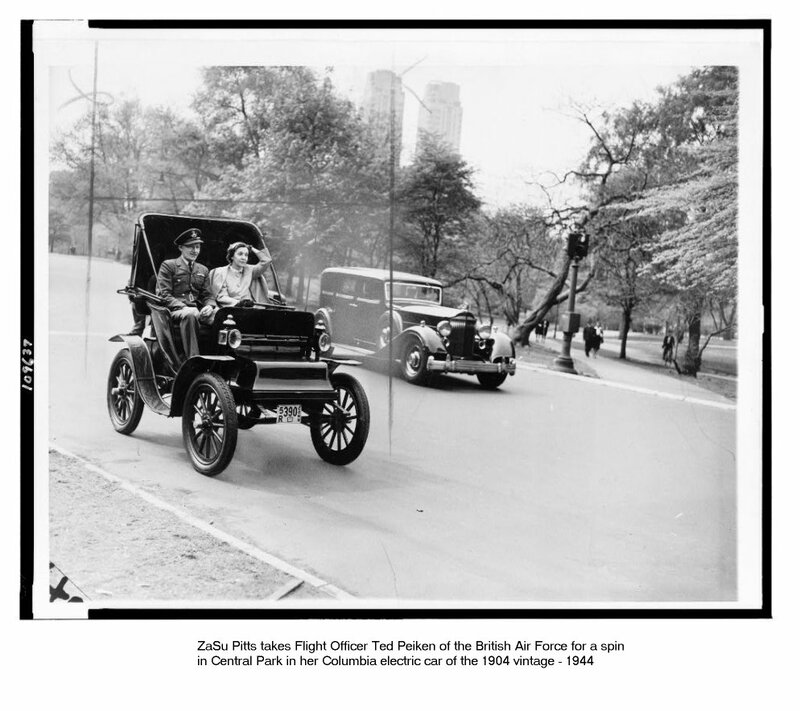 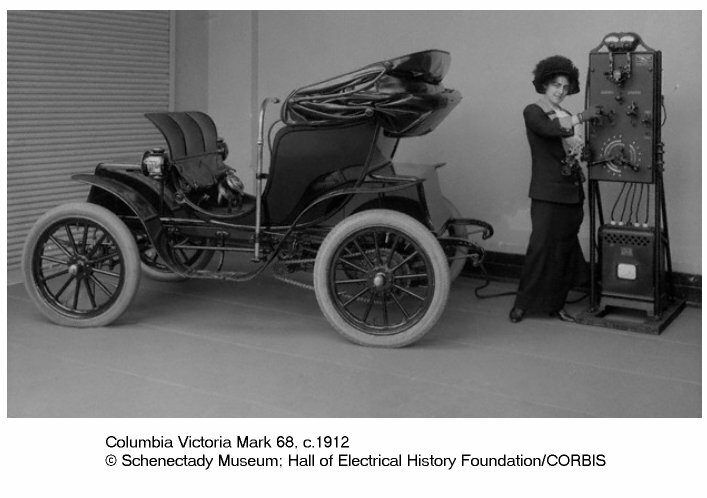 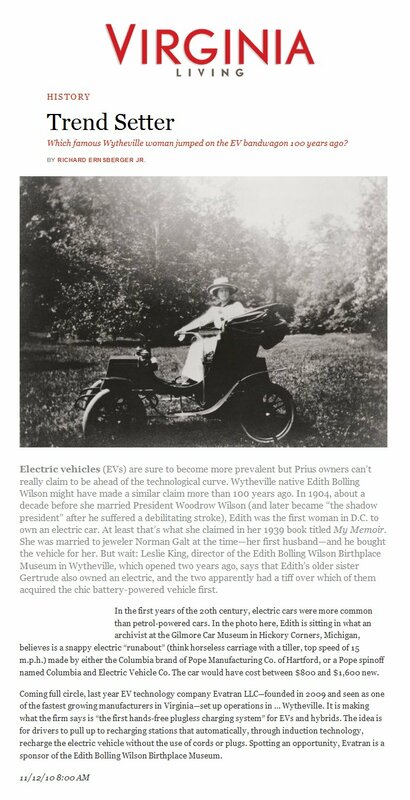 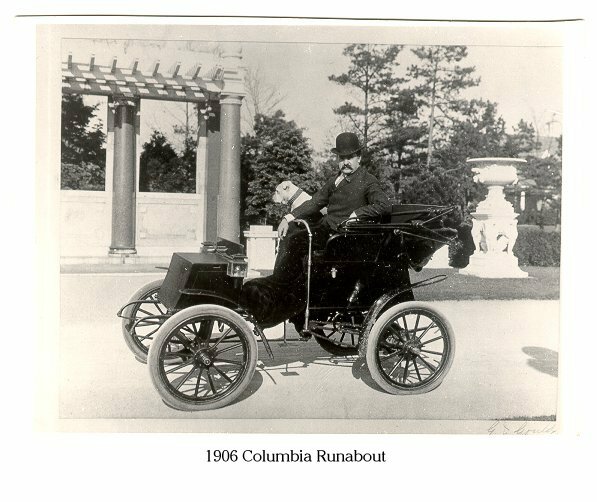 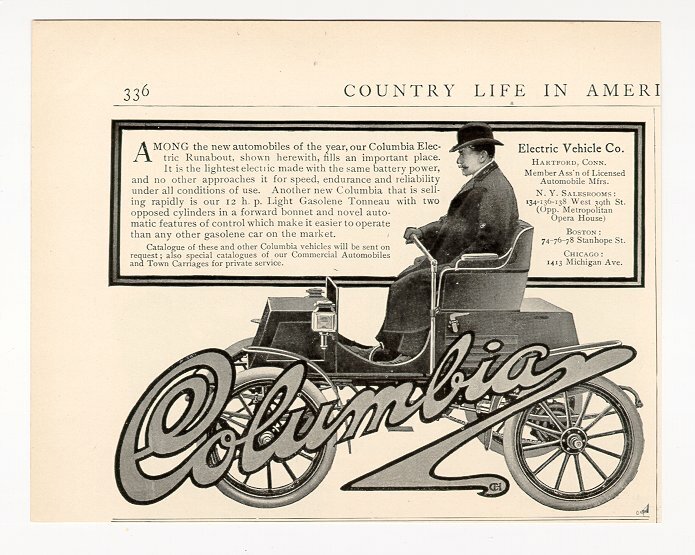 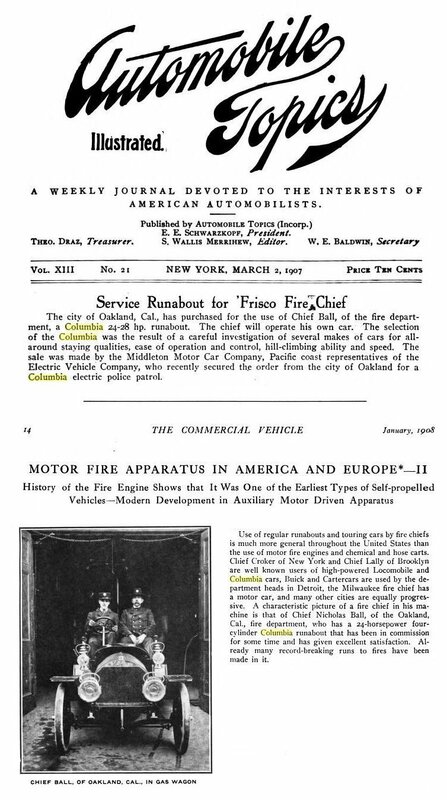 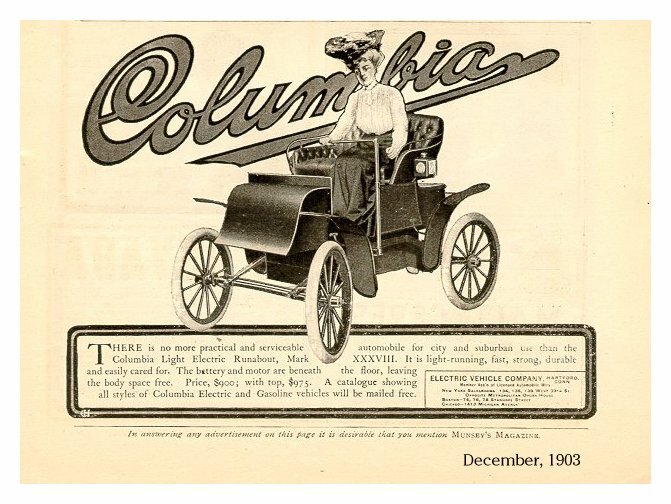 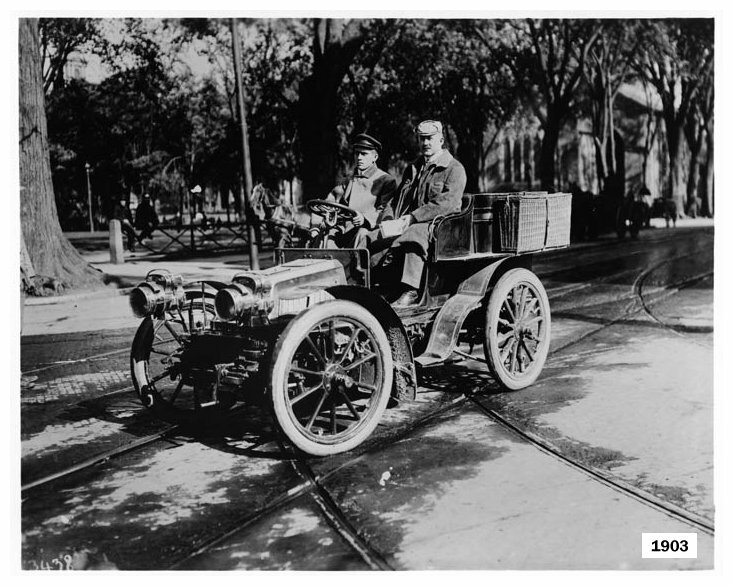 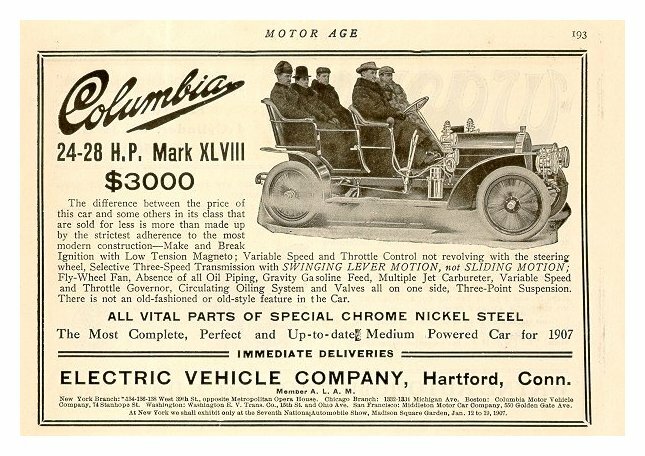 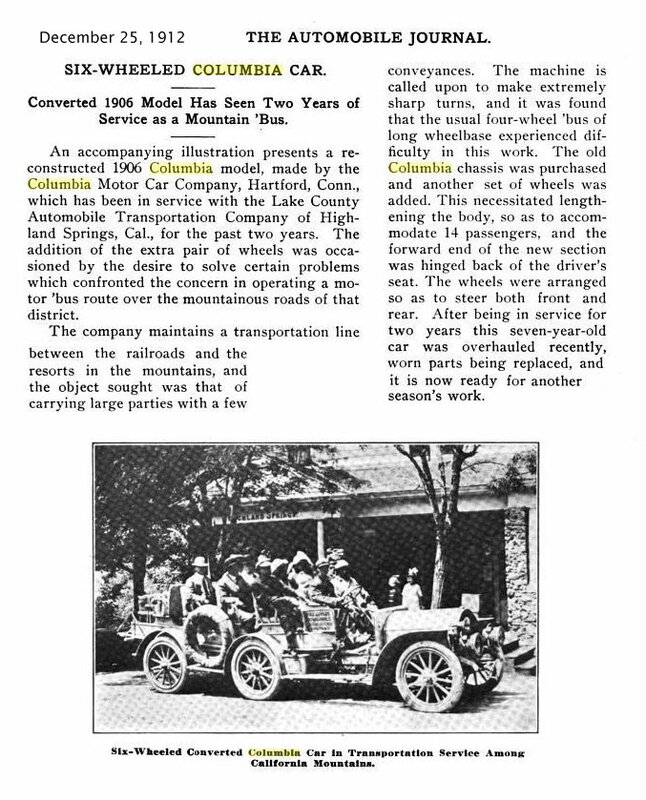 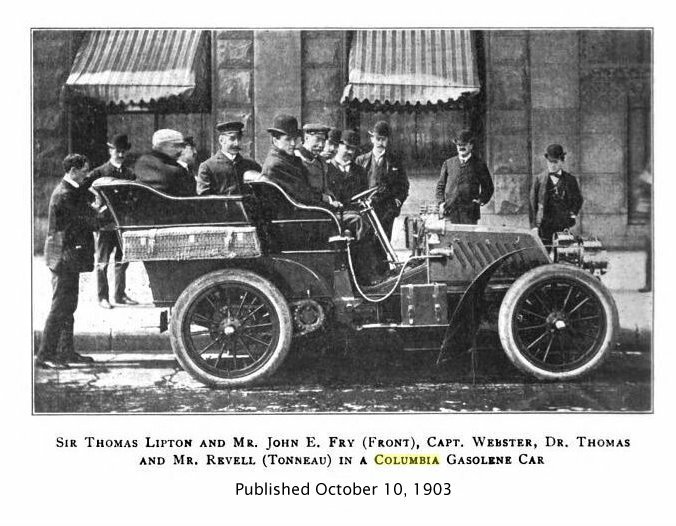 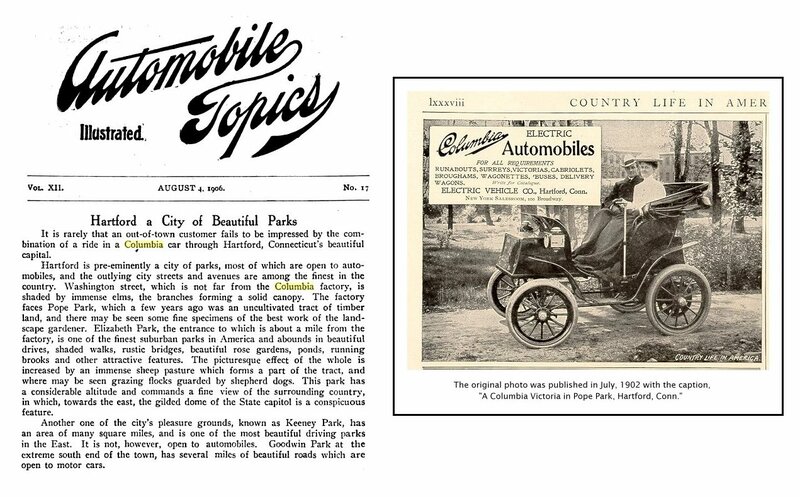 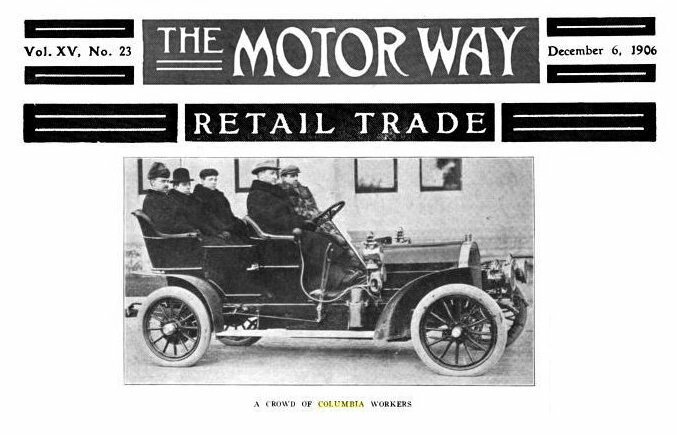 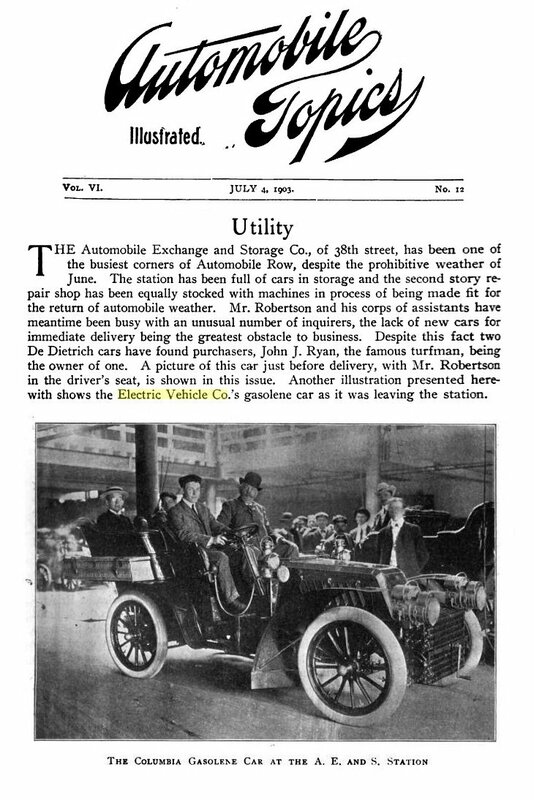 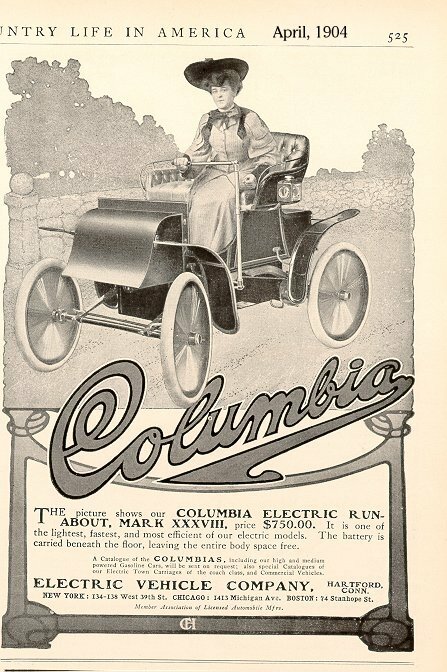 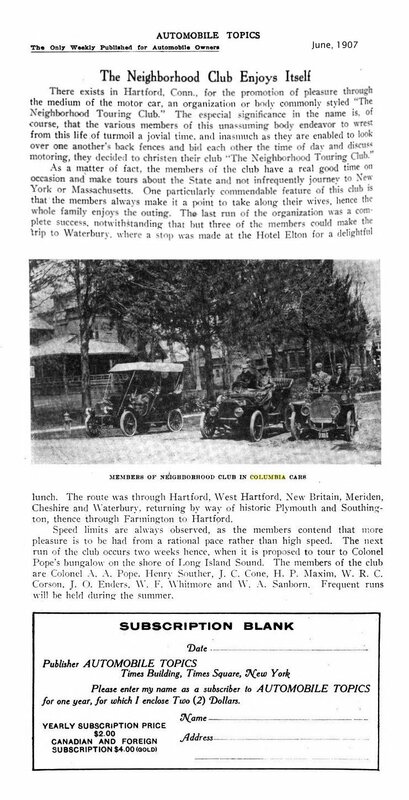 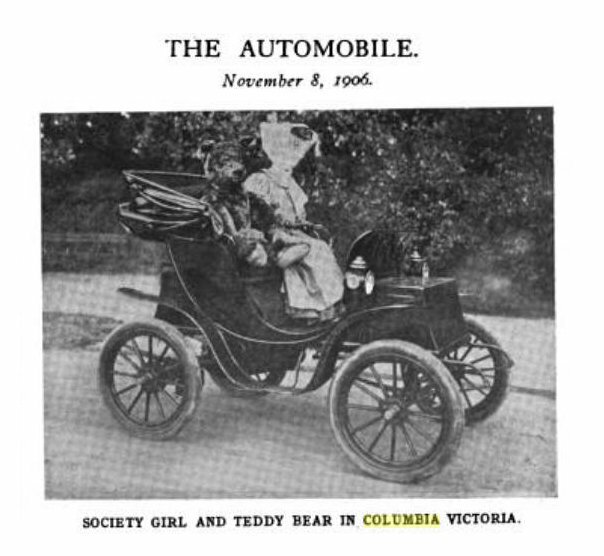 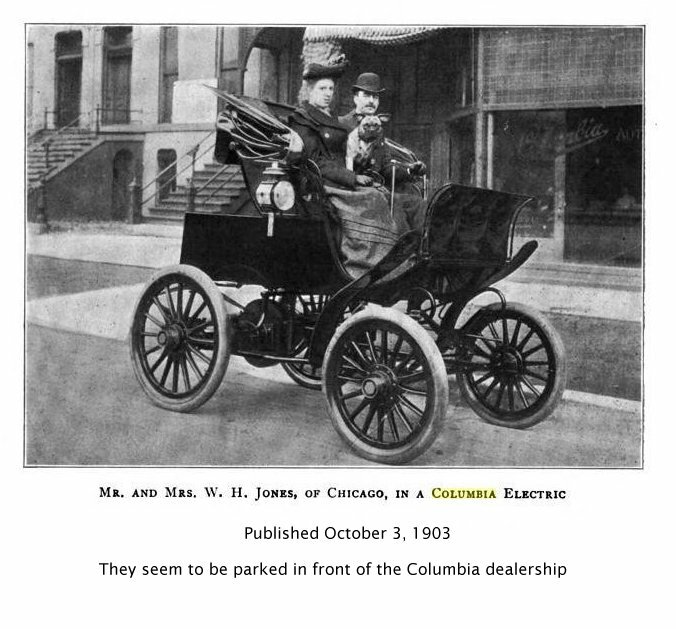 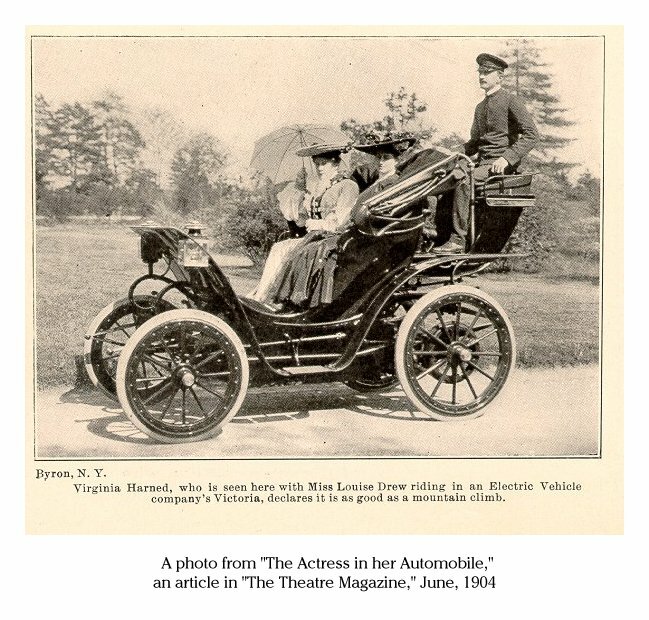 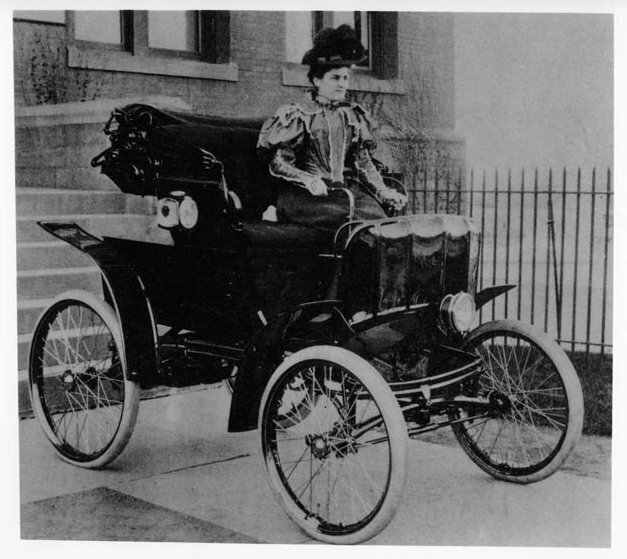 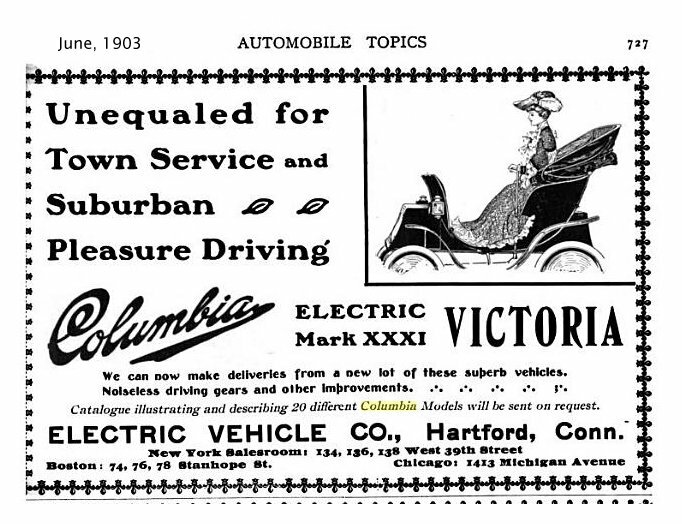 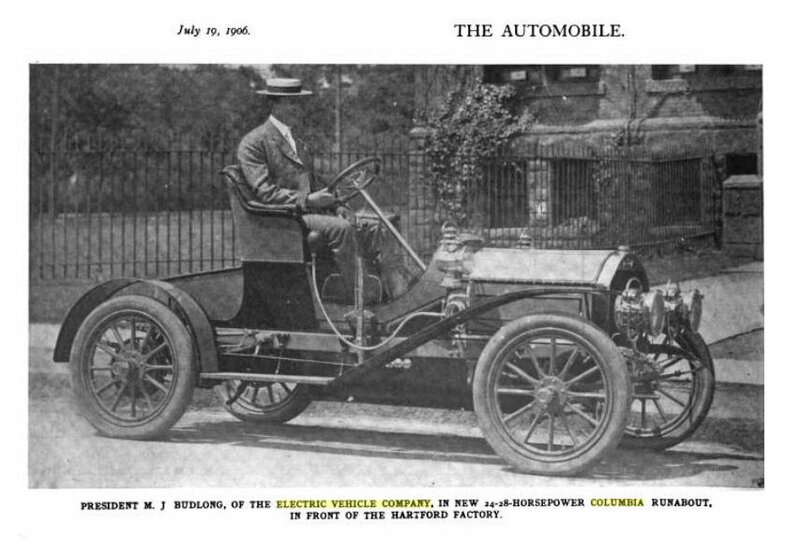 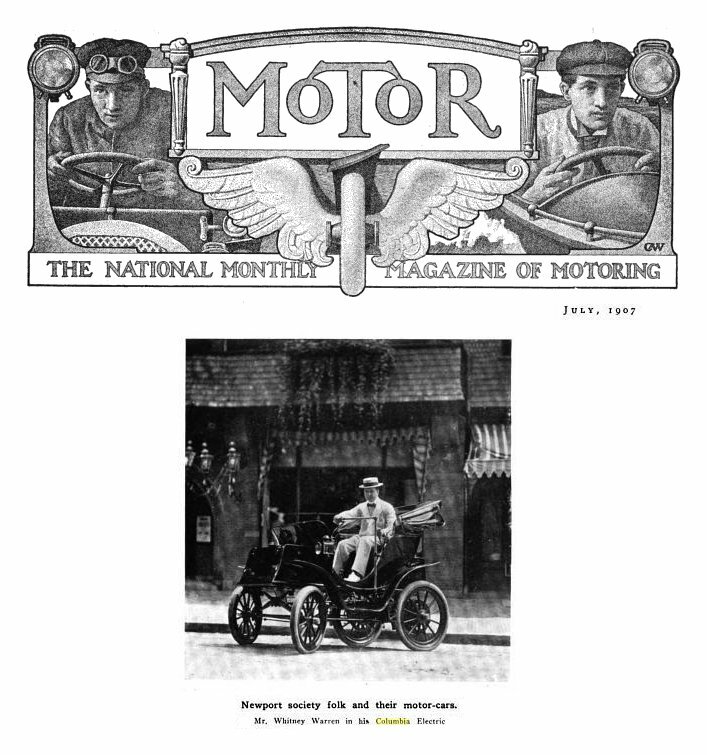 Five Columbia cars were included - the Electric Surrey and four gasoline models. 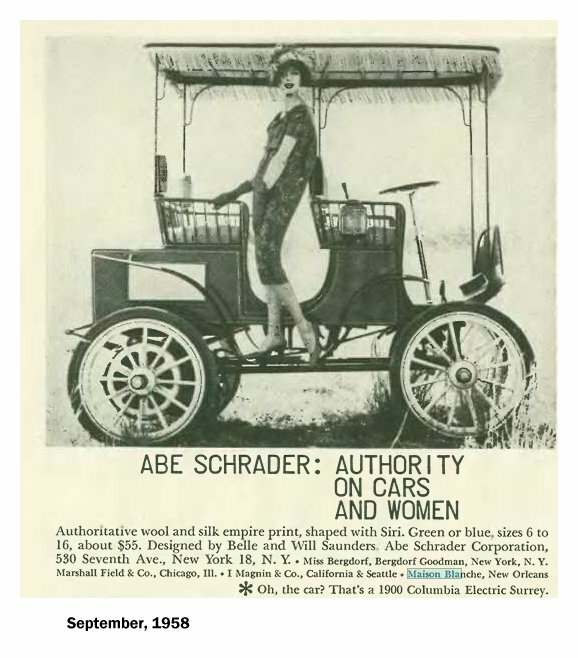 Despite some mis-spellings, the item above is quite amusing. 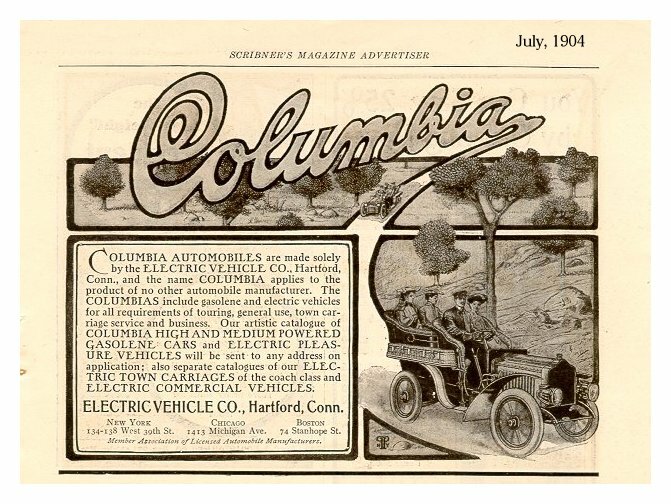 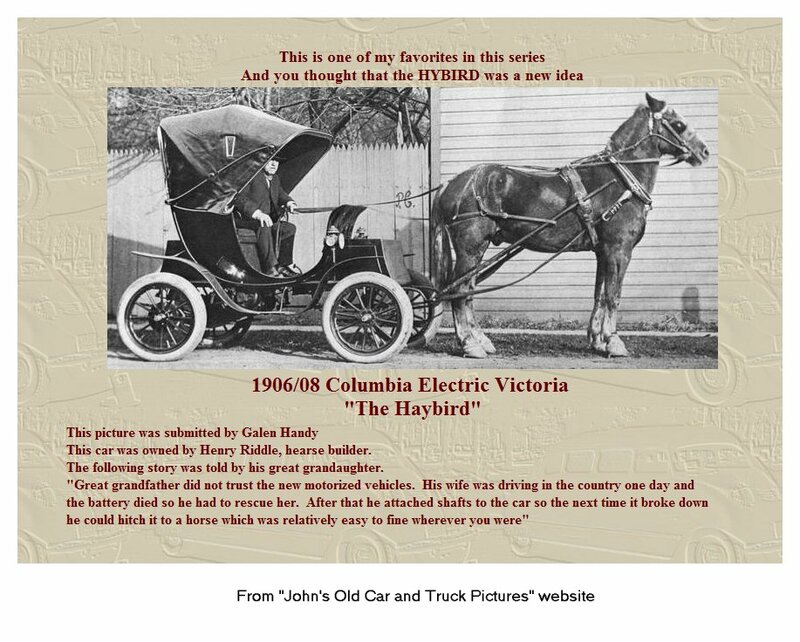 To see an article about a genuine Columbia hybrid car, click HERE. 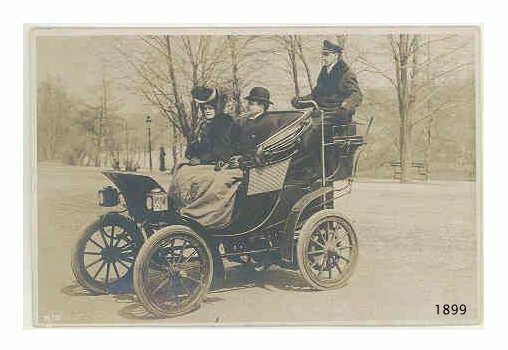 is the oldest operating car in Atlantic Canada. 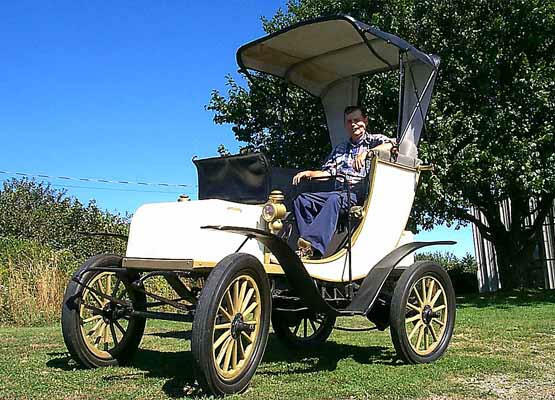 There are old cars, there are antique cars and there is the car Willard Saulnier will take to the annual Sherbrooke Show and Shine in September. 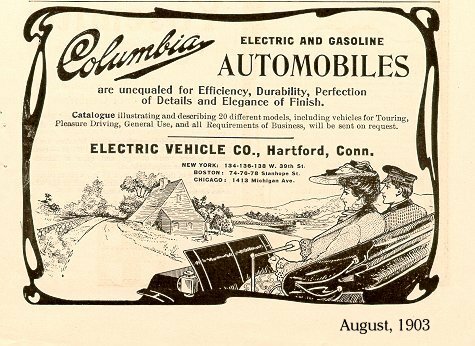 The Meteghan man's 1902 Columbia Electric Car, the oldest operating car in Atlantic Canada, will be featured among 200 vehicles from around the Maritimes Sept. 9th and 10th. 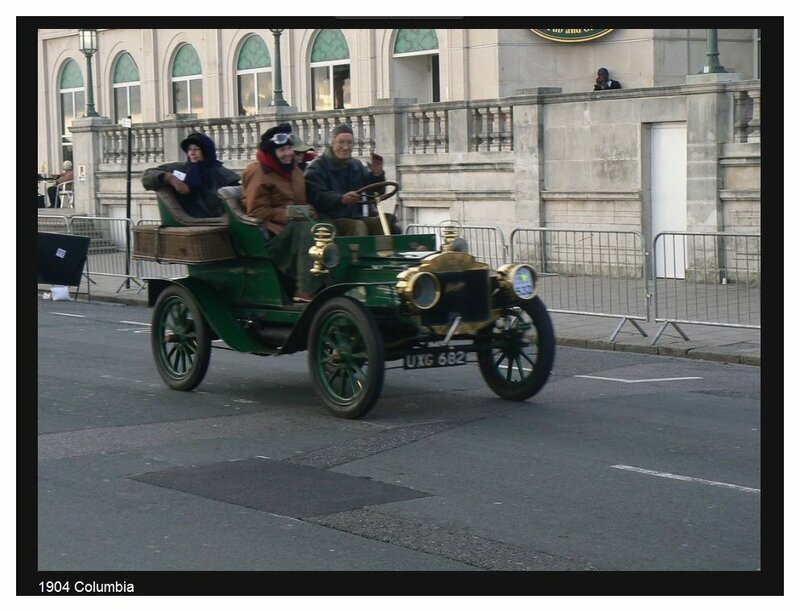 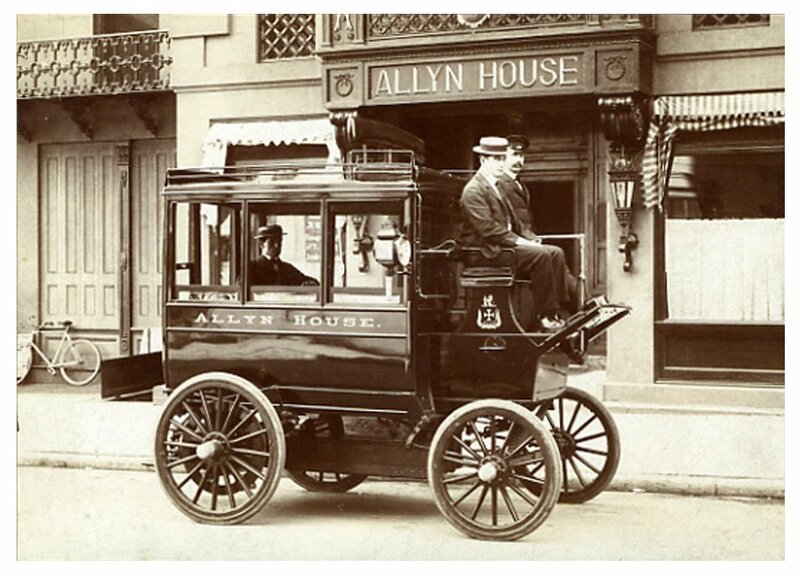 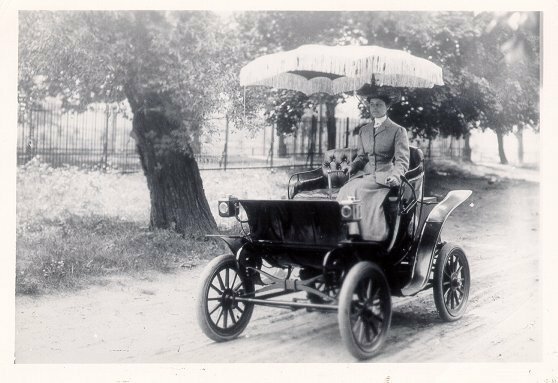 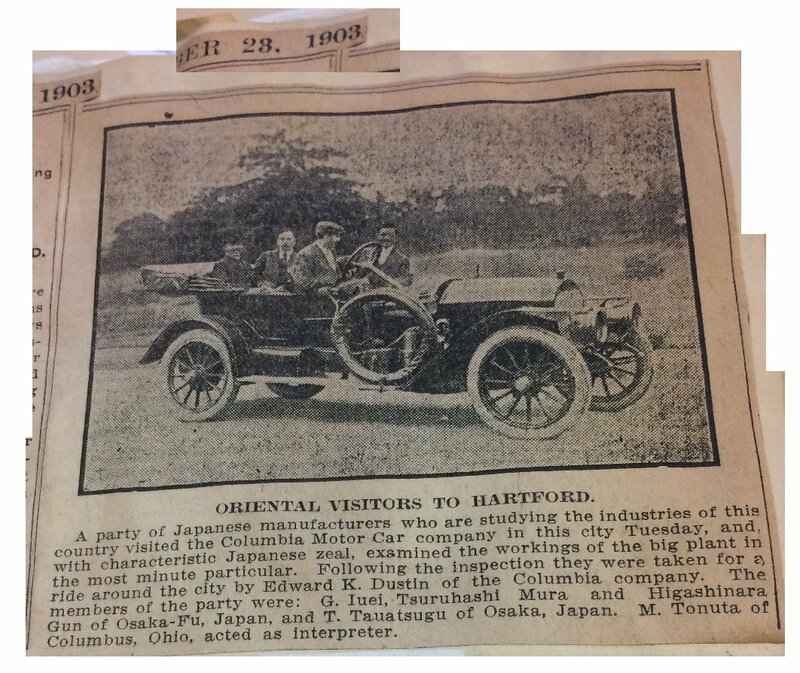 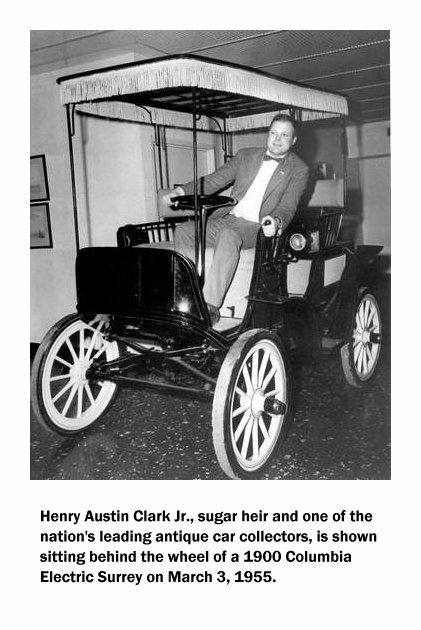 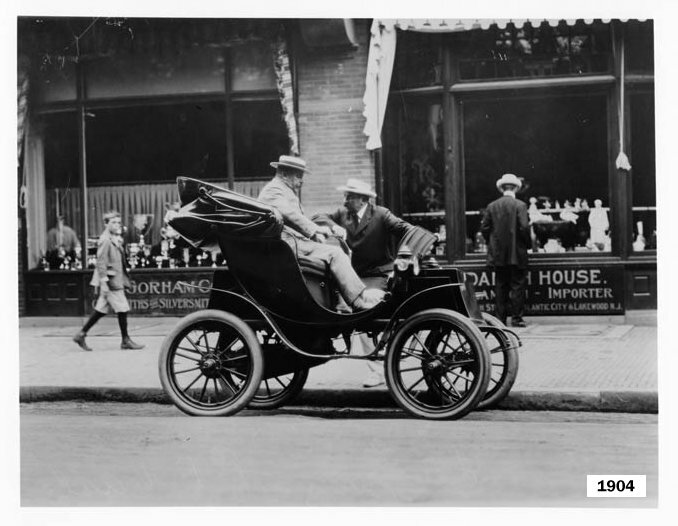 "It's one of the first cars made after the horse-drawn carriage," Mr. Saulnier said. 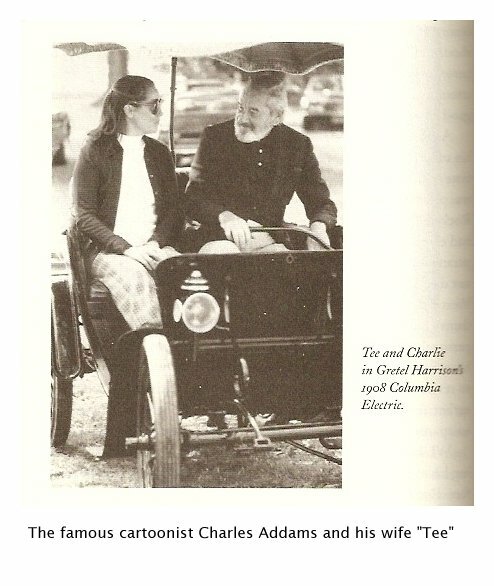 "It's the only one I know of in Canada." 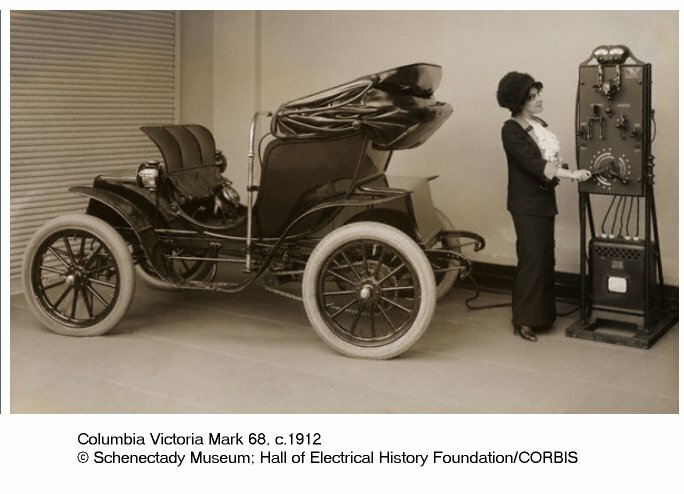 The mostly wooden vehicle runs on six six-volt batteries, which will last for about 14 hours after a complete charging. 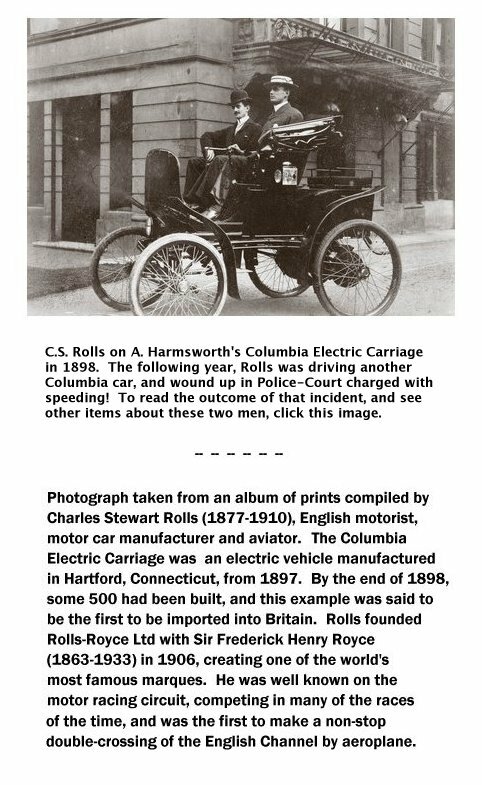 But it will never set any speed records. 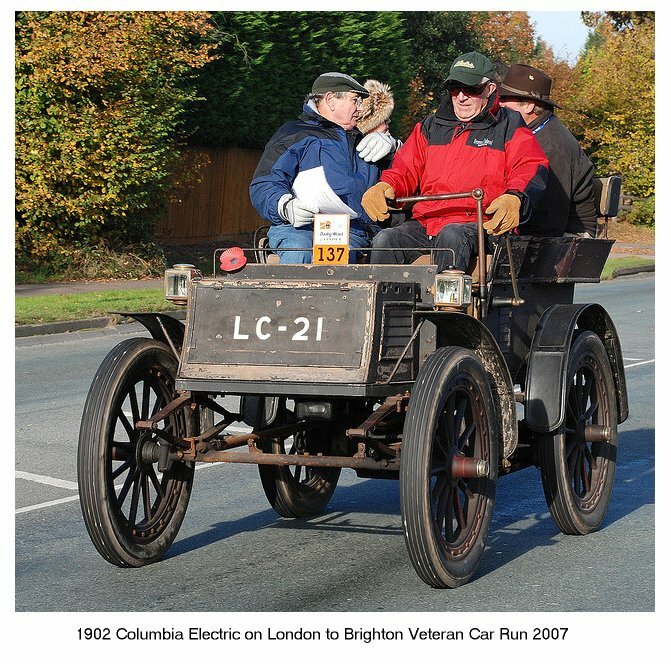 "It will go about 20 miles (about 30 kilometres) per hour," said Mr. Saulnier, who bought the two-seater treasure six months ago from a Yarmouth man. 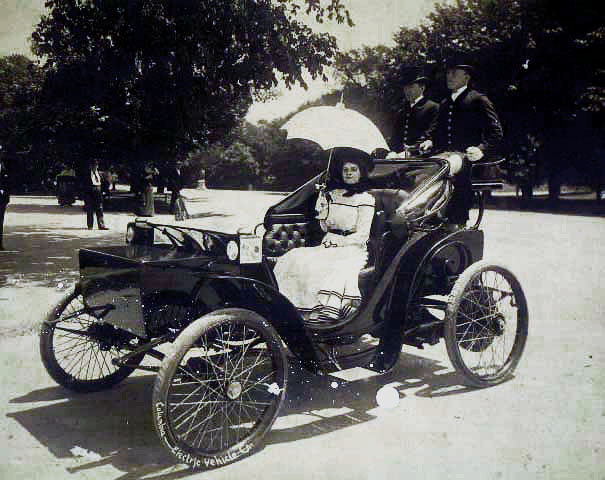 "It would probably take me about a month to drive" to Show and Shine, which will be held on the ball field at historic Sherbrooke Village from 11am to 5pm Saturday September 9th and from 10am to 4pm Sunday September 10th. 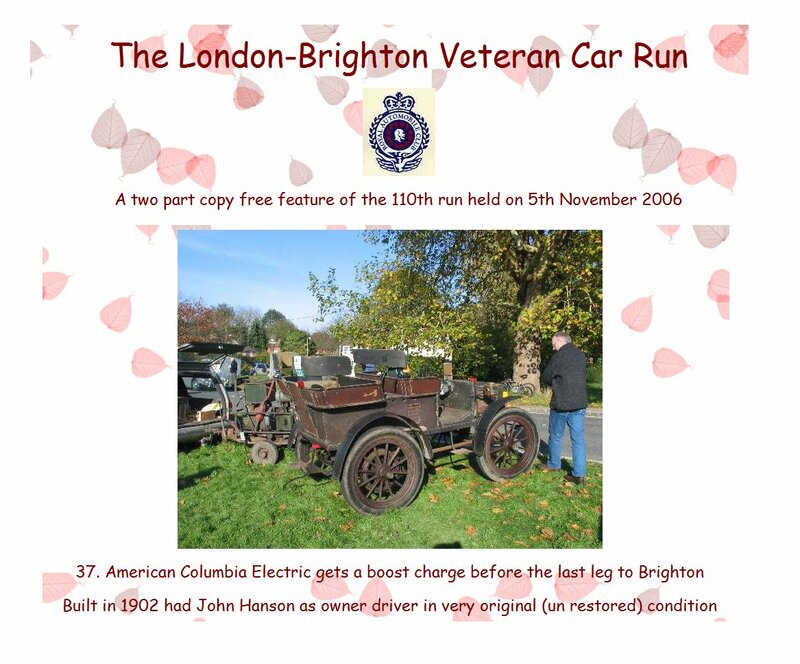 Drivers and owners will be available both days to talk about their vehicles. 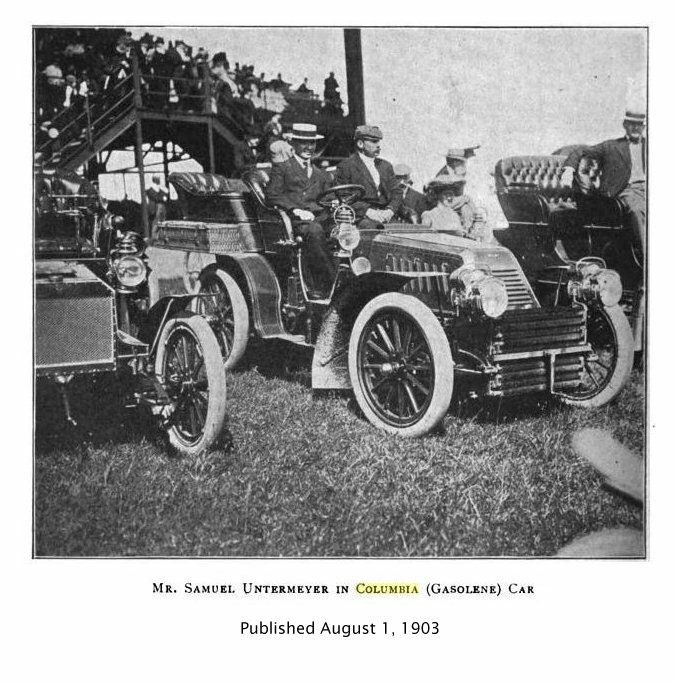 The cars will parade through the streets of Sherbrooke at 5:00pm Saturday as they begin a drive to Sonora. 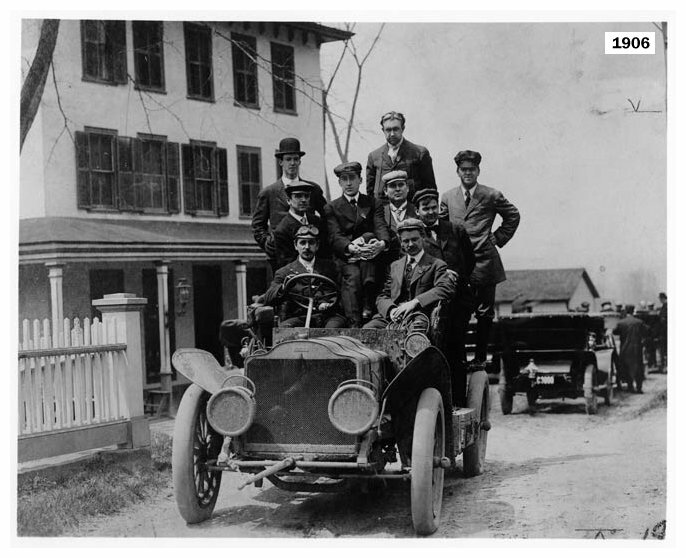 They'll return to Sherbrooke later in the evening. 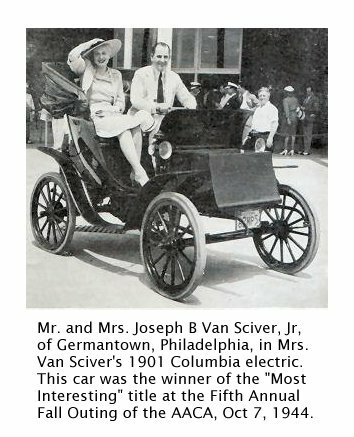 Mr. Saulnier's car, with a rudimentary 18-horsepower motor, has been a hit at a dozen car shows this year. 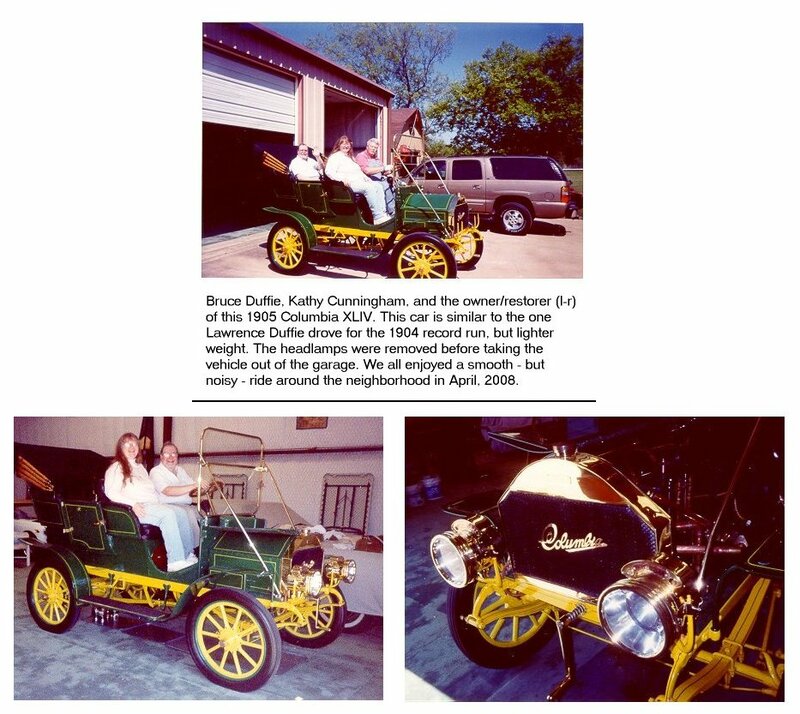 This winter, he hopes to fully restore the vehicle, which was salvaged from an old barn in Ontario several years ago.